Best quality in the industry. We use the highest quality giclee printing technique in the industry. Web based and really easy to use. No complicated (and ugly) ROES system. Order multiple prints and repeat orders with ease. Great pricing and value. Tiered discounts provide better pricing the more you buy. Friendly, knowledgeable dedicated pro support. Dedicated pro customer support reps available to help with your special requests. Are you a digital artist? We work with hundreds of digital artists like you to bring your works of art to life. We understand your unique needs and we can work with you to help you earn more revenue while making your work look its best. Consider us your partners. You create great works of art, we take care of the rest. 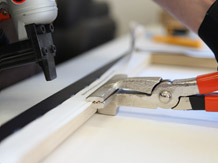 Our prints are hand-stretched and individually inspected for perfection. Proudly handmade in North America. We offer multiple shipping options. Drop ship your entire order for a low fee or ship directly to individual clients for a small additional charge. We are experts in color management and large format output. 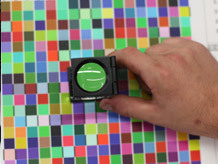 Our Printmaster color corrects print by hand to match your profile. Looking for white label solutions? 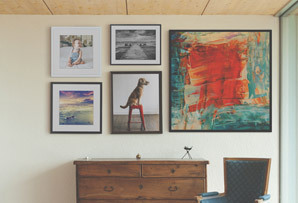 We offer canvas prints and packaging with no CanvasPop branding. *only available at certain discount tiers based on order volume. Let us know how to get in touch and we'll get back to you with the next steps in joining our program. Here are some answers to our most frequently asked pro questions. Have a question not covered here? You can contact our dedicated Pro Customer Support team at pro@canvaspop.com or by calling 1-866-619-9574. Do you provide a printer ICC profile so I can soft-proof my images? Yes we do upon request. We use a bright white, OBA free, archival quality poly-cotton blend, tight-weave canvas certified by the Fine Art Trade Guild’s Blue Wool test for print permanence of up to 100 years. We also use a UV protective laminate to further ensure print permanence and utmost quality. 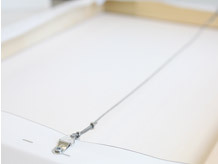 We use Canon iPF8300 printers for the highest quality canvas printing in the industry. 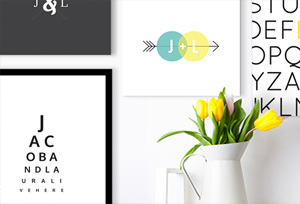 We offer white label packaging and canvas prints upon request. Absolutely! We offer custom sizes up to 38” in width. If you require a custom order contact one of our dedicated Pro Customer Support Representatives. Do you accept file types other than .jpg and .tiff? Yes. Contact customer support and they will provide you with access to our FTP site where you can send us .eps, .pdf or any other type of image file. How much bleed should I leave for the photo wrap? That depends on the depth of the canvas your choose. For 0.75’, leave 1.5" on each side (3" total height and width); for 1.5” depth, leave 2" on each side (4" total height and width); and for 2.5” depth, leave 3" each side (6" total height and width). Should I include crop lines in the image I send over to you? Crop lines are not necessary. Simply size your file using the photo wrap dimensions above and we’ll do the rest. If my photo will not work with photo wrap edges, can you mirror my edges instead? Yes, although keep in mind whatever is closest to the edge of the photo will be duplicated. 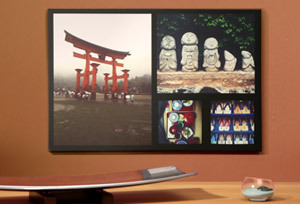 We also offer solid border options if an image wrap is not your style. Will the laminate you use affect the colours or integrity of my original image? We've calibrated our print settings to compensate for the laminate we use, so it should not affect the overall tonality or integrity of an image. How should I color manage my files? What working space should I be editing my photos in? We recommend using Adobe RGB 1998 for working space. I work with a calibrated display — how accurate can I expect print results to be? We’re a fully color-managed facility. This means the prints we make are accurate to the image’s true colors. If you make sure to save your files tagged with an embedded ICC profile, the results seen on a calibrated display will match.